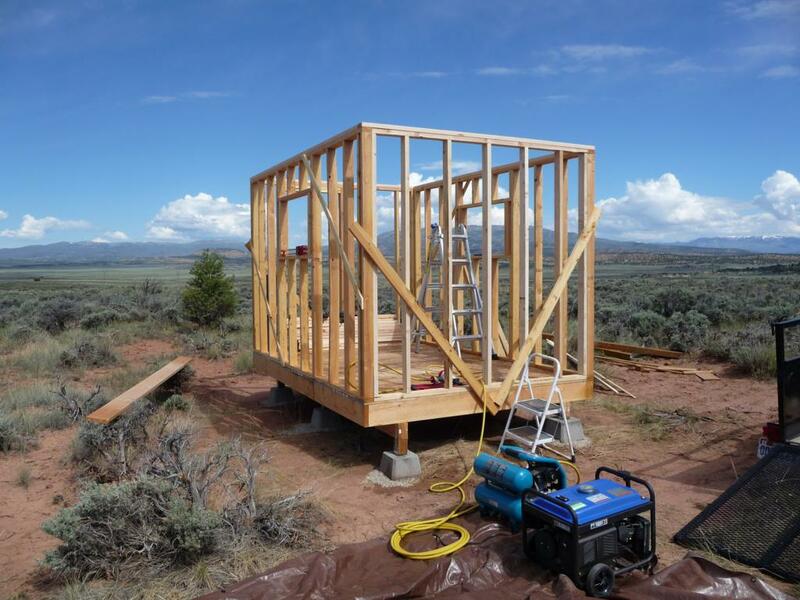 Details of framing the mini-cabin are not particularly notable. 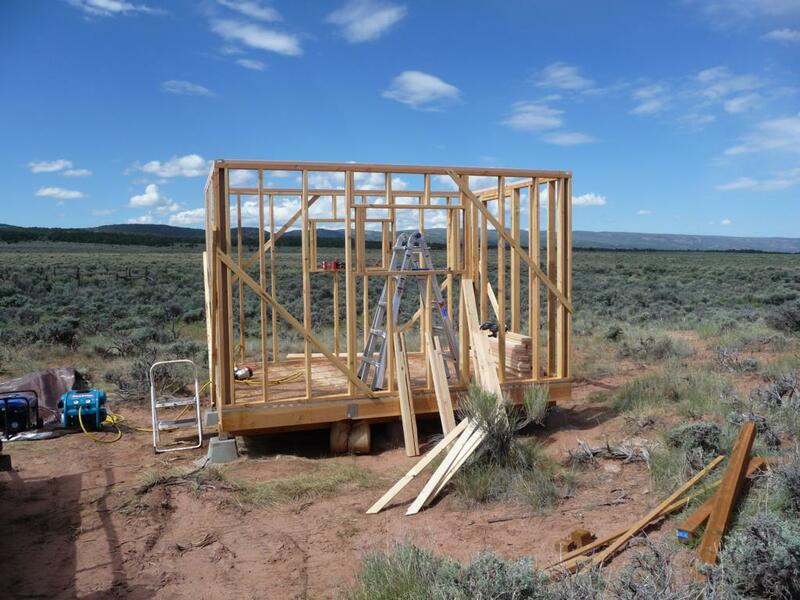 I used standard 2x4 framing for the walls. The walls, including the top cap, are 7' 3-3/4" high so that the total height including the floor is 8'. I made them this height so that an 8' high sheet of siding would cover the entire exterior without any cutting. The front wall is framed for a door and each side has one window opening. NOTE: I know I didn't frame the door and windows properly, i.e. using a header, but at this point I was still just building a shed. It was a conscious decision to save time. 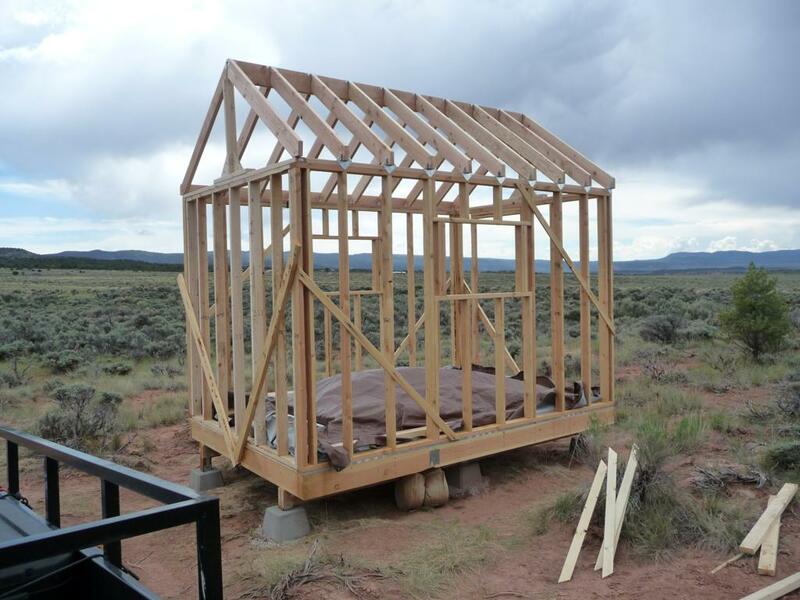 For the roof, I used a 2x8 as a ridge beam and the rafters are 2x6. I used hardware ties to attach the rafters to both the ridge beam and the walls. The overhang the walls by about 2 inches. 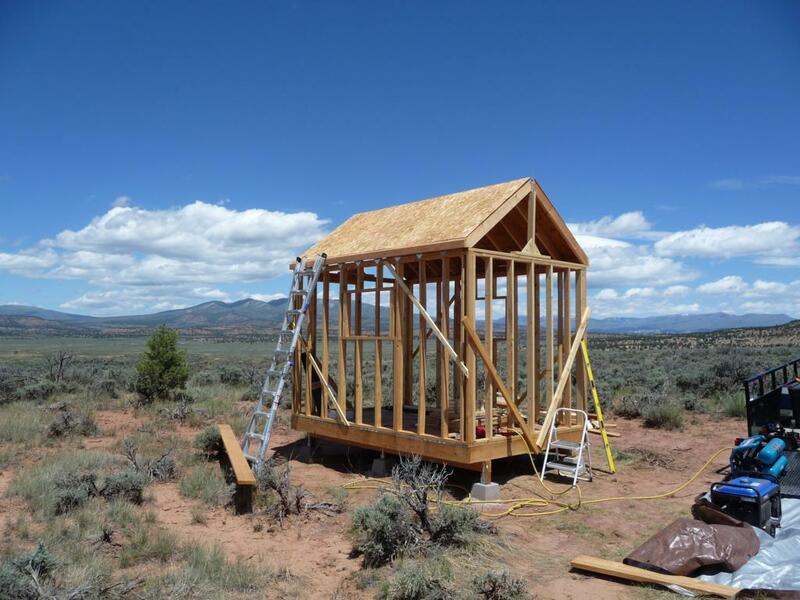 I built some supports from 2x4's to hold the ridge beam up while attaching the rafters. These supports remained as part of the gable framing. I mitered the edge of some 2x4's to match the roof pitch and nailed them to the ends of the rafters. The pitch of the roof is 8/12 making it easier to calculate the measurements as everything forms a 3-4-5 right triangle with known angles. 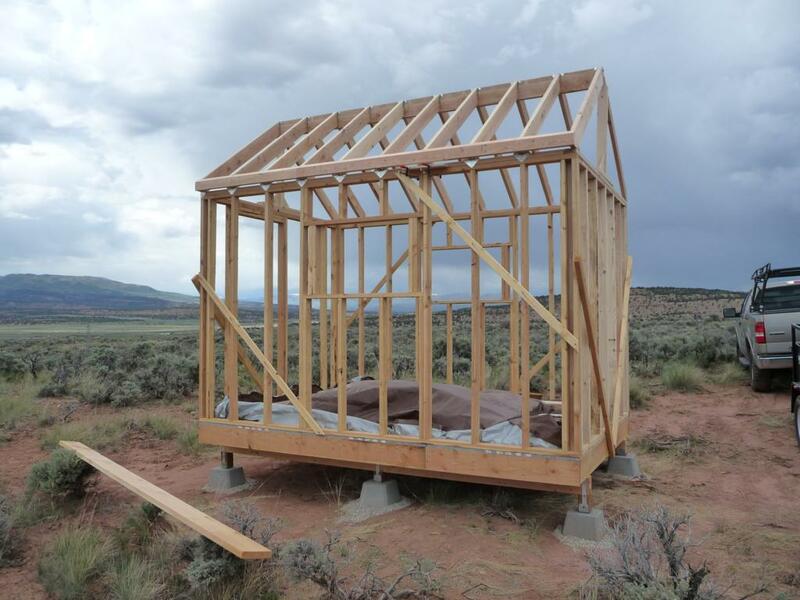 Finally I added 5/8" OSB sheathing to the roof.